We mastering guys will often offer and be asked to perform the task of “mastering for vinyl”, almost always alongside digital audio masters of the same release (whether that is CD, digi download or both). Well first of all it’s not the same as “Vinyl Mastering”! This is the process of creating a physical master disc using a format known as a lacquer disc or sometimes acetate. Historically the material used for such masters had varied, but it’s quite a different process to that which mastering engineers without a cutting lathe often offer to our clients. The above may not come as a surprise to labels and independent artists when costing up a vinyl release. You may notice that for my mastering service I charge a 20% fixed rate for a second version of the master (i.e. one “mastered for vinyl”), which is wildly different to the price of cutting a master disc. This is as they are different processes! So what is it I do then? Well, the process I apply is what is actually known as vinyl pre-mastering. This involves the preparation of an audio master (often digital, but not always!) which can be cut by the engineer at the next step in the production chain. What the 20% extra is actually getting you is simply a version of the audio which has been QC’d (checked) for its use with the cutting engineer. This is a lot simpler than people think! Hence the % or sometimes with other engineers: a lower track rate on top. 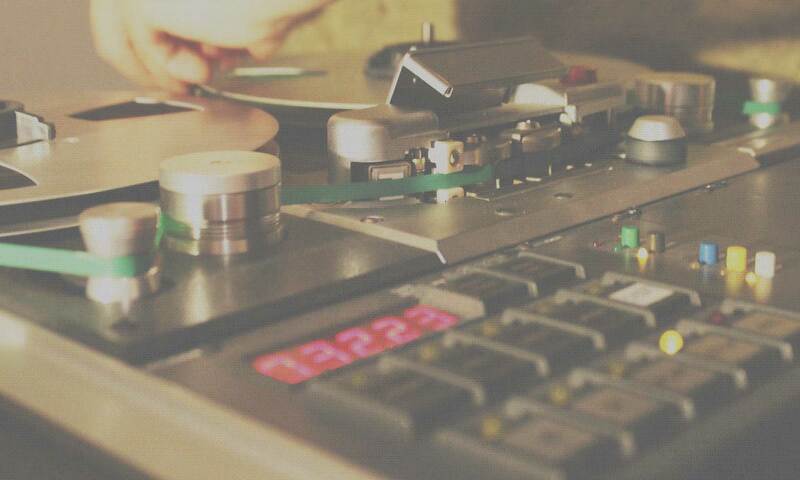 Our aim in vinyl pre-mastering is simple: To maintain consistent translation to the next stage of production. i.e. the client loves the master I sent em to listen to on Windows Media Player and really wants to hear that, albeit with the joyful sounding limitations of vinyl, in its entire form coming out of their record player when they get the test press back. Same gaps, same loudness matching, same objective improvements in tone and imaging, if there has been from the mixing stage onwards. A vinyl premaster is typically a 24 bit audio file containing masters for each side of the record, with additional track data where required to aid the cutting engineer. With digital audio we can do all kinds of crazy things, whether it sounds good or not! One of the nice things about vinyl (and perhaps why vinyl versions of recordings sometimes sound better unanimously) is the barriers to letting you go too far. The digital master also almost always requires loudness processing. This is usually just a final push into a limiter/clipper/both which the engineer controls for transparency. What this causes though is a kind of artificially shaped harsh transient every time a loud thing happens, vinyl hates these and is wildly unpredictable in how it cuts this onto the master. Ever tried to cut a CD master to vinyl and found the top end sounds wrong, or often quite bizarre? This is probably why! I won’t go into too much detail on these, as they range from easy to explain (amplitude) or so complex you could do entire degrees on the subject (phase correlation). But I will say this: when it comes down to hiring someone to do “mastering for vinyl” consider this: can they have a 20 minute conversation with the engineer at the plant about the above topics and get it nailed so your record doesn’t sit in test press limbo for months? Vinyl production is a tricky game and it’s getting trickier. Having a mastering engineer who can bang out some excellent digital masters, make you a fully formed CD image AND create a vinyl premaster and tackle any thorny issues at the next stage is vital for a label taking its vinyl releases seriously! Hopefully this helps, if anyone has any further questions you can always drop me a line on subsequentstudio@hotmail.com thanks, Joe Caithness (Mastering Engineer, Subsequent Mastering).